The decks have been cleared for the introduction of the pathbreaking Goods and Services Tax (GST) in the country next July with the Parliament approving four supplementary GST legislations. These are the Central GST (CGST), Integrated GST (IGST), Union Territory GST (UTGST) and the Compensation Law bills. The impressive acronyms for these bills indicate that the long awaited new tax is being introduced in a way that was not originally planned. Instead of a single level tax, it will be in the form of several levies including an inter state tax and a state level tax. Initially it was envisaged as a single point tax replacing the multiplicity of levies existing currently. Even so, it means that the numerous layers of taxation currently being imposed will be replaced by only a few taxes. What is this pathbreaking reform that is being described as a gamechanger for the Indian economy ? Basically it means that most existing taxes will be done away with and replaced by a single point levy. It removes a huge plethora of bureaucratic paperwork. It is a single tax at the final point of consumption. It does away with the multiplicity of taxes at every level of the supply chain from the manufacturing to the sale point. The taxes that GST will replace are the central excise duty, additional duties of customs, commonly known as CVD, special additional duty of customs (SAD) and service tax which are currently levied and collected by the central government. It will also replace certain taxes levied by states such as state VAT (value added tax), central sales tax, entertainment and amusement tax (except when levied by the local bodies) and taxes on lotteries, betting and gambling. It will also replace the onerous octroi that makes trucks wait for hours on end while moving from one state to another.Thus in effect, it makes India a large single market. Comparisons are being drawn with the European Union since in the Indian federal structure, states have been levying their own taxes which are numerous. This has pushed up the level of taxation on the citizens to a very high level. By replacing the plethora of central and state taxes with just a few levies, the burden of taxation on the people should come down in an ideal GST scenario. The fact that India is on the right track can be gauged from the fact that 140 other countries have also adopted the single goods and services tax. Studies have shown that not only have government revenues increased dramatically in most of these countries but there has been a rise in the gross domestic product as well. What will be the impact of GST on the economy, is the question being asked by the layman. The first is simplicity of operation for both industry and services producers. Manufacturers will find life much easier as they will only pay a single point tax instead of the numerous excise, octroi and other levies that have to be paid at each tier of the production process. The second is ease of movement throughout the country as goods can be moved from state to state without having to stop to pay octroi. The third is that services will become more expensive as these are now being taxed at a lower rate than the proposed new levy. The fourth is that government revenues should rise as the simplicity of paying tax is an incentive to do so rather than evade or avoid levies and finally, the ease of doing business will improve which should in turn lead to more investments and thereby give a push to economic growth. One of the problems in implementation, however, has been the concern of most states that the introduction of GST will reduce their revenues from the levies imposed by them at the state level. As a result, the empowered committee of state finance ministers which negotiated the launch of GST, ended up providing some big revenue cushions to these states. Most important was the actual compensation that was to be given over a fixed time span to some of what are known as "producing" states. In other words, regions where industrialization has taken root and which export many products to other parts of the country. This is opposed to what are known as "consuming" states which are not manufacturing much and instead are importing products from other regions. Obviously the producing states have far higher revenues from excise and other state levies than the consuming ones. Hence their losses, if any, would be higher than the consuming states. So it was decided to give compensation to states for the perceived loss in revenue due to subsuming state levies in GST. The compensation would be met through levy of a cess called GST Compensation Cess on luxury items and sin goods like tobacco for the first five years. Any excess amount after the end of the five year tenure in the GST Compensation Fund to be created, would be divided between the Centre and the States. The new compensation law thus provides for states that suffer losses because of the GST in the first five years of its operation. The compensation issue was one of the main aspects to be discussed after the GST bill had been passed by Parliament last year. Many issues like division of tax administration and taxing high sea trade as well as the compensation problem had to be discussed between the centre and states. Fortunately, these have been resolved in time and the GST is set to be launched on the target date of July 1 this year. As for the integrated GST (IGST), it has been passed to enable taxing inter-state movement of goods. In other words, even though other inter-state taxes are being dispensed with, a fresh one is being levied under the umbrella of the GST legislation. This is yet again a concession to states who are worried over the removal of inter state taxes that will be eliminated after the introduction of GST. There is even a state goods and services tax which can be levied by state governments so that the revenues accrue to it. The union territory act is meant to enable levy of such a tax by union territories as well. Thus there will be a dual GST levied, one by the centre which will collect the revenue from this levy and another by the states from which the revenues will accrue to them. 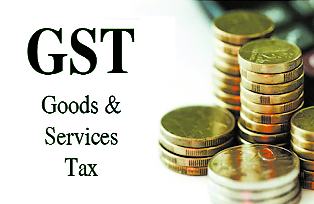 The revenue from the IGST or inter state movement of goods will accrue to the central government exchequer. In other words, instead of the original concept of having a single point tax at the retail level, there will now be about three taxes. So one may try to explain the GST as a tax that replaces all others but it has now ended up as a three tier levy include a tax on inter-state movement of goods. The only way one can rationalise these multiple taxation levels is that GST has to be introduced in this country in this imperfect manner due to the pressures from the state governments in a federal structure. It is for this reason also that the tax structure has been higher in some areas than is actually warranted. The GST Council has recommended a four tier tax structure - 5,12,18 and 28 per cent. On the highest rate, a cess will be imposed on luxury goods , again to compensate states for revenue loss in the first five years of GST implementation. However, the central GST law has pegged the peak rate at 20 per cent and a similar rate has been prescribed in the state GST. This brings the peak rate to 40 per cent which apparently will come into force only in times of financial exigencies. The problem is that most states are revenue-starved and would surely like to use provisions under the GST laws to raise tax levels and reduce their budgetary deficits. They have already succeeded in keeping alcohol out of the purview of GST. Petroleum products have also been kept out of GST as these are huge cash sources for the central government. Thus the excuse of financial exigencies can be applied at any time that the state considers there is a need for funds. While no state government would like to impose unduly high taxes which could make them unpopular, it is possible to levy high taxes on products that are not of mass consumption. This would still lead to inflationary pressures on the economy. Thus the highest rate of 28 per cent should really be reduced considerably so that it is not raised to an uncomfortably high level either by the centre or states. In this context, one must refer to a proposal made earlier to embed a revenue neutral tax rate in the legislation itself. While this has been opposed by many, the fact is that it would relieve the pressure by states on the centre for increasing the GST rate. One can only hope that the exclusion of major revenue earners like petroleum products and alcohol will gradually be brought into the purview of GST. In addition even the division of GST between centre and states needs to be done away with in the long run. States need to be reassured that they will receive sufficient revenue from a single tax being levied within their borders to ensure that they can run their governments. It is also hoped that the introduction of three taxes instead of a single one does not become a permanent feature of the GST format in this country. At the same time, as mentioned earlier, given the federal nature of this country, it is not possible to ignore the concerns of state governments on the revenue aspect of the new tax. The introduction of GST is being viewed as a panacea for many ills in the economy. The projection is that it would raise GDP growth by at least one to two per cent besides making it much easier to do business in the country. The fact is, however, that in the current format, GST may not have the desired impact immediately. It could conceivably lead to higher inflation because of the increased tax levels on a range of products. At the same time, it is a bold experiment worth taking even if it is not being rolled out in the original format. After being launched, it is likely that many of these infirmities will be ironed out so that GST becomes a boon and improves the quality of life for the common man.